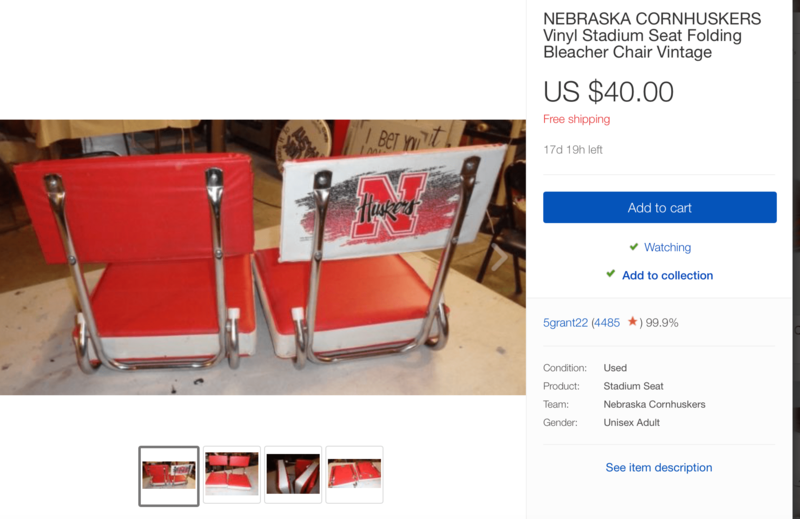 If you search ‘Huskers’ on eBay, a bunch of things that don’t need to exist happen to show up for sale. 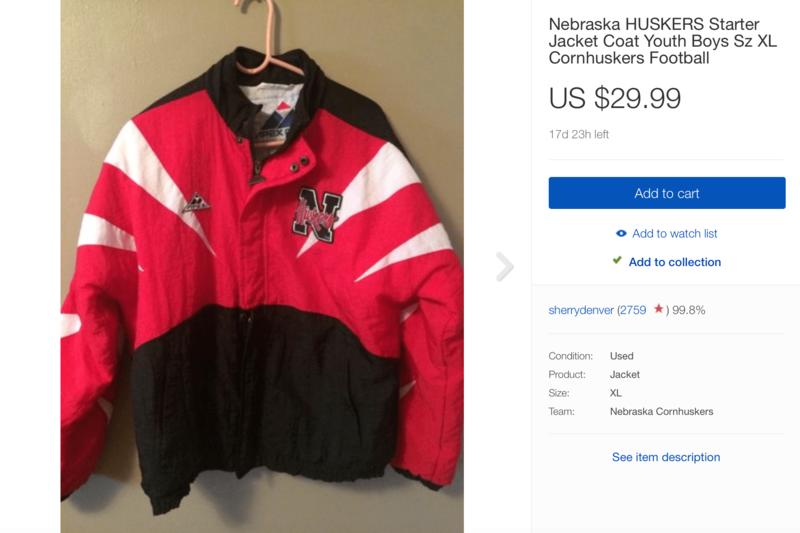 So whether you are looking for a new jacket for October tailgating or some artwork for the man cave, get ready for gameday with my eBay round up. 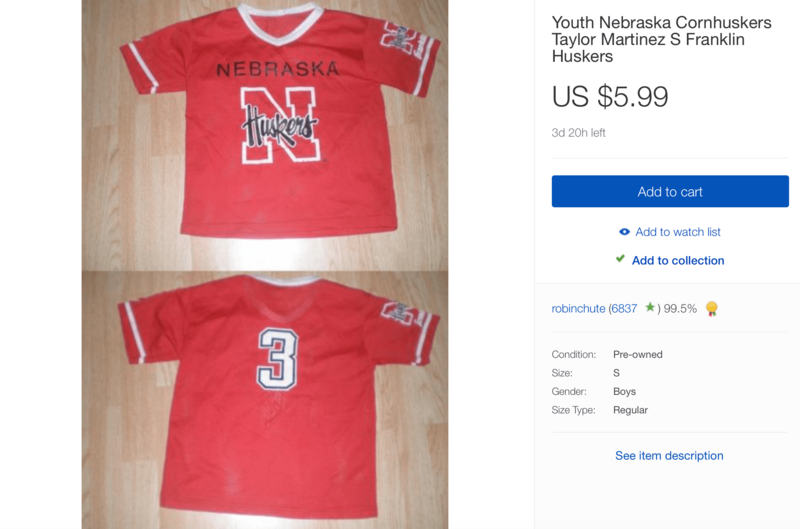 In honor of Ryker Fyfe, here are the top 17 Husker items up for sale. Who this is for: A little kid that you hate. Why you should buy it: I don’t know. It’s basically free, I guess. Who this is for: The very lucky lady in your life. 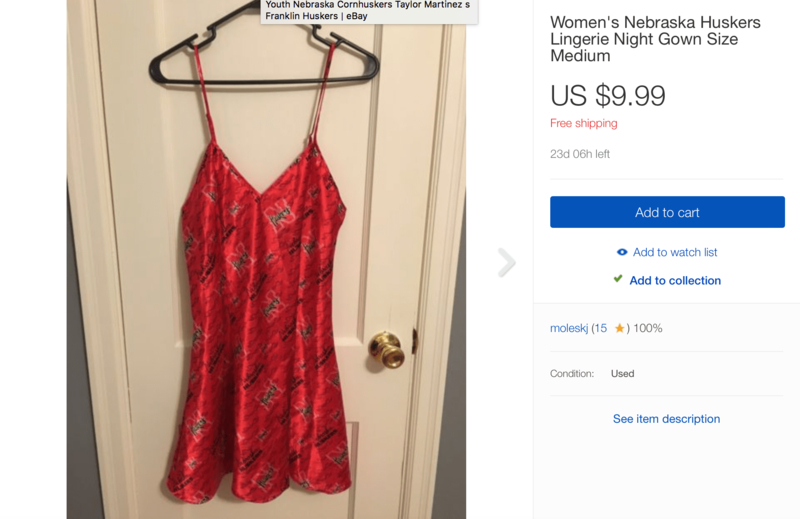 Why you should buy it: As seen on Victoria’s Secret models, probably. 15. 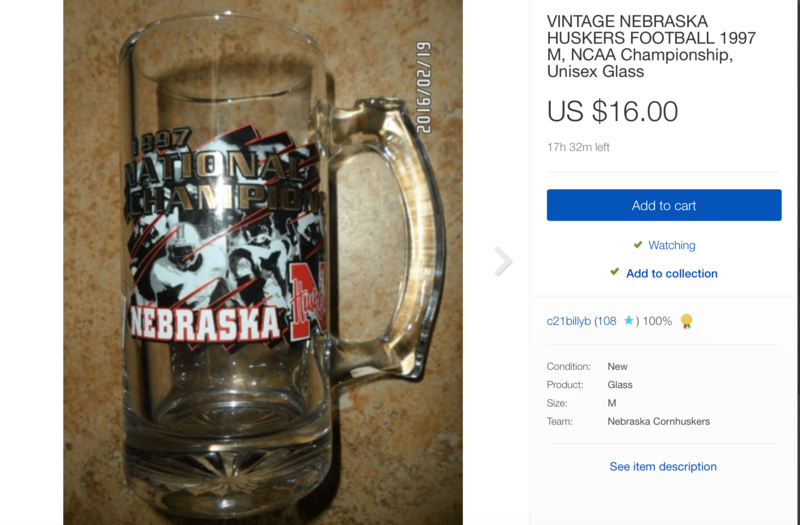 Vintage Nebraska Cornhuskers Glass? 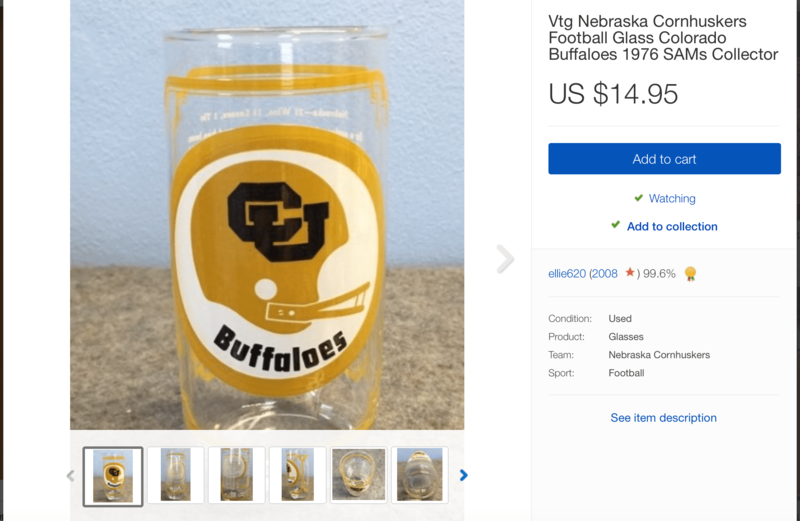 Who this is for: CU Fans. Why you should buy it: To break it. Who this is for: Somebody who still has a pager. 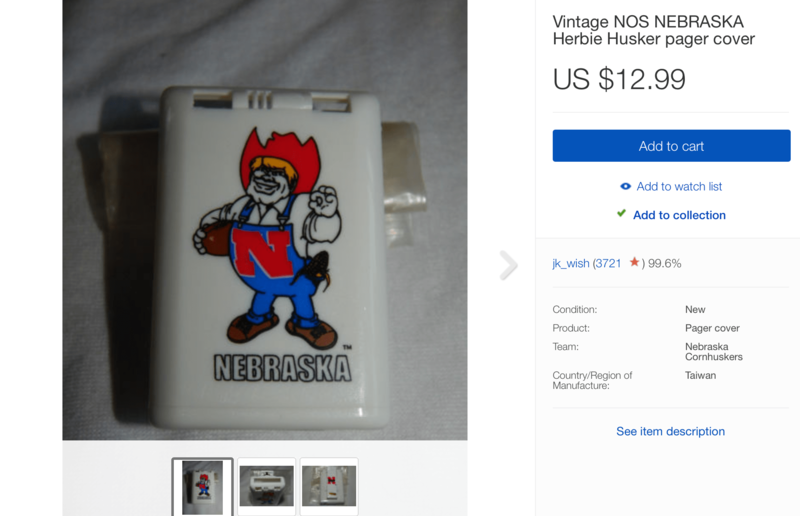 Why you should buy it: There is only one of these and probably only one person with a pager so it’s a match. Who this is for: Awful people who use these. Why you should buy it: You shouldn’t. If you sit next to me in these, I’m going to hate you. They take more than one space. 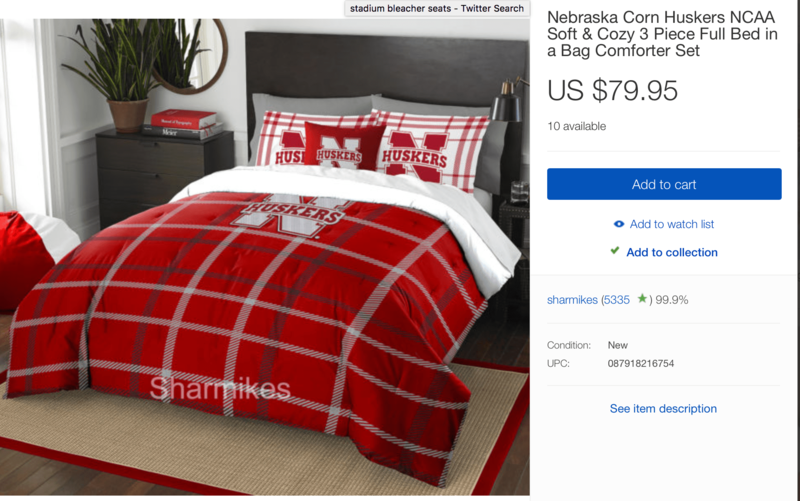 You are at a football game, I have faith that you can survive for a few hours without cushions. Who this is for: Men, women, and children. Why you should buy it: This is one of those items that you didn’t know that you need, but you definitely do. 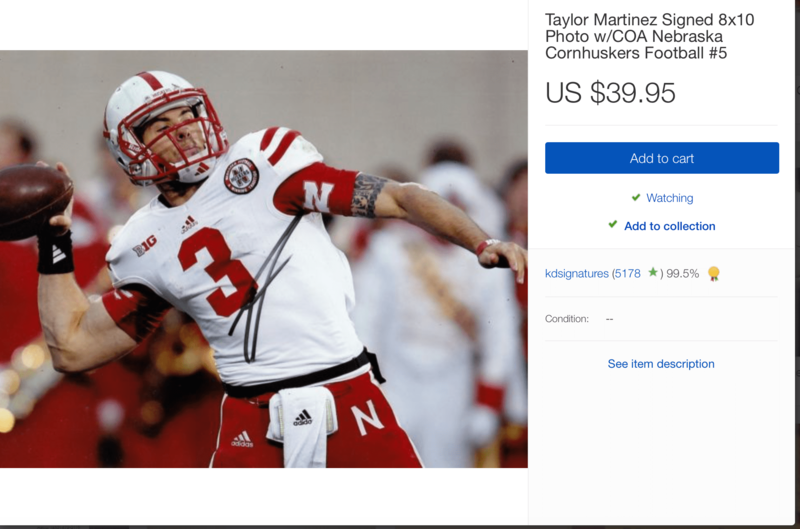 Who this is for: I could see Taylor Martinez having this in his room. Or people who like to have nightmares about mediocre football. Why you should buy it: It will match your new lingerie. Act quickly. There are only 10 available, so not everybody will get one. 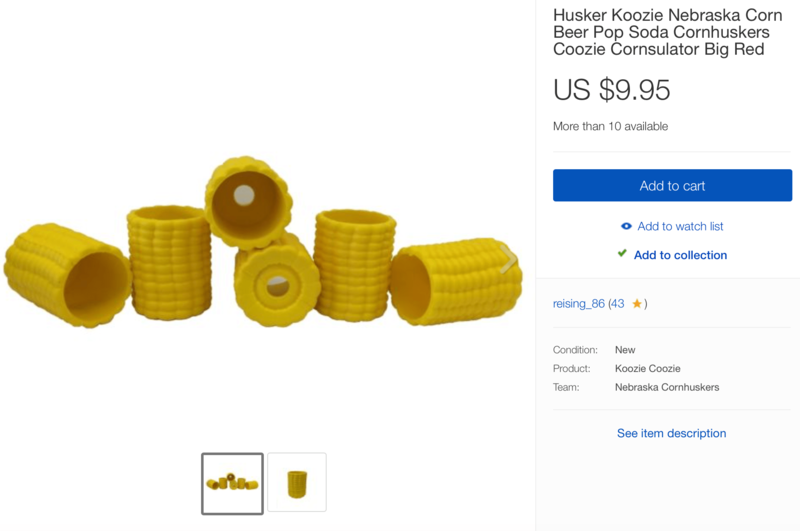 Who this is for: Anybody that wants me to visit their tailgate. Why you should buy it: Because it’s awesome. 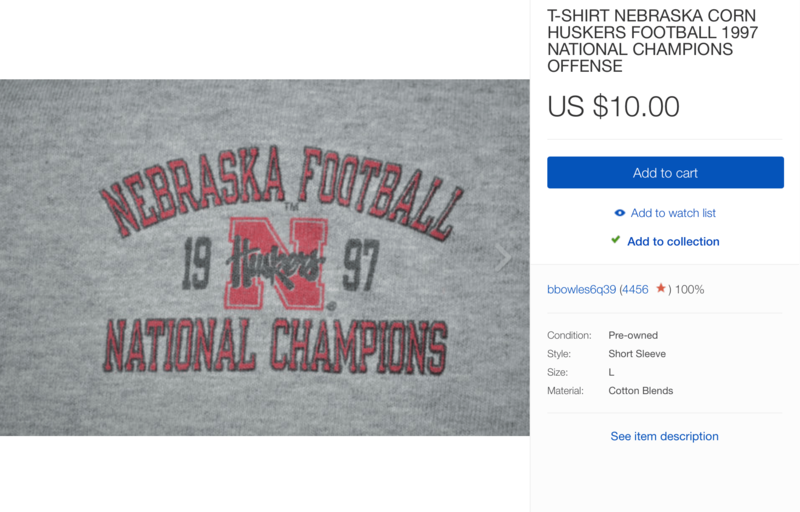 Who this is for: Anyone who loves equal rights and the 1997 Cornhuskers. Why you should buy it: Not often do you come across a glass that both men and women can drink out of. Who this is for: People who are fans of vintage champions, that’s a nice way of saying they haven’t been recent champions. Why you should buy it: Art is pretty good investment, and lucky for you, there are more than 10 available at the low, low price of $14.99. Who this is for: Someone who can fit in a child’s XL. Why you should buy it: It’s cool as hell and there is no denying it. Who this is for: Somebody with $40 too much money in their bank account. Why you should buy it: Probably don’t. Who this is for: A true fan who remembers the best of times and the worst of times. 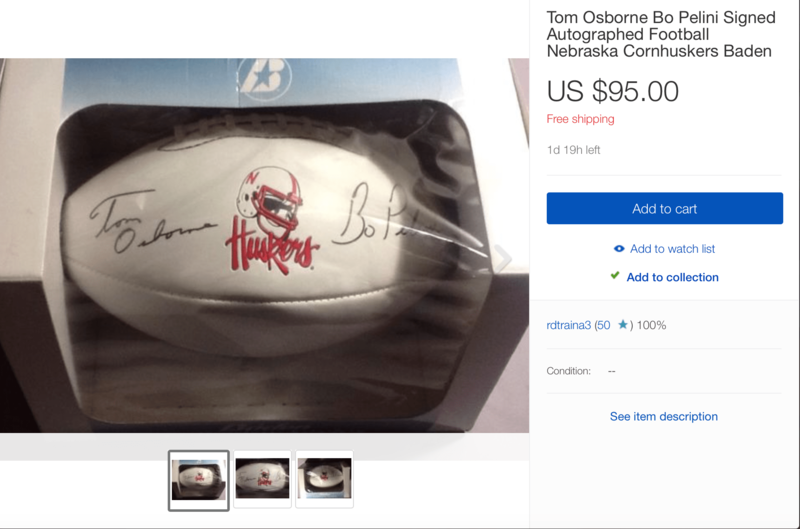 Why you should buy it: Similar versions with only a Tom Osborne signature are about $100 more. This is a bargain. Just white out Bo’s signature. 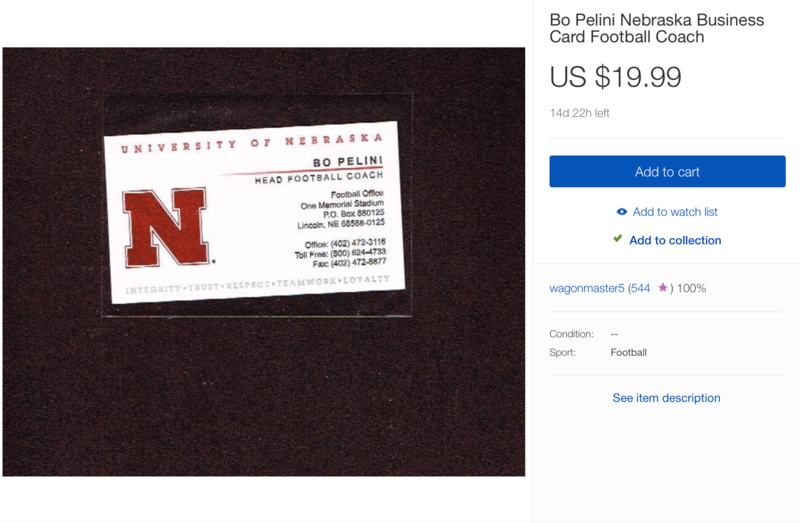 Who this is for: People who weren’t interested in the bargain Bo Pelini ball above. 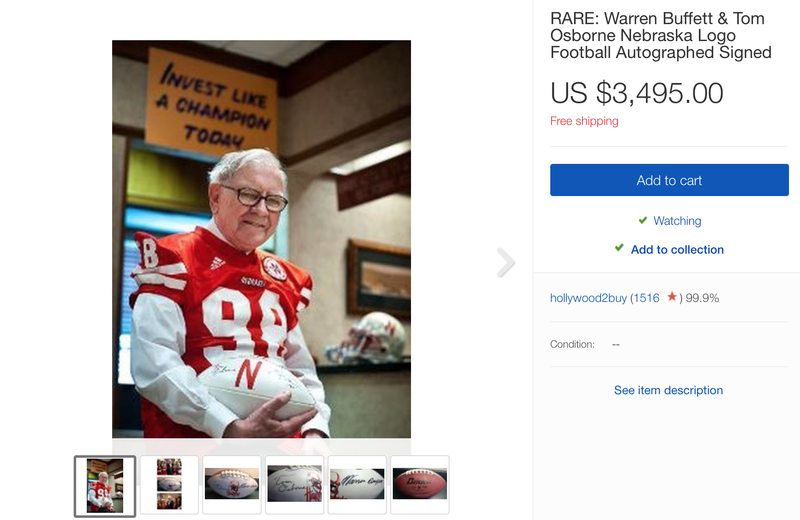 Why you should buy it: Maybe it comes with an authentic email from Warren asking why you just wasted $3,500. Who this is for: Anybody that has the numbers for Darnay Holmes or Joseph Lewis. 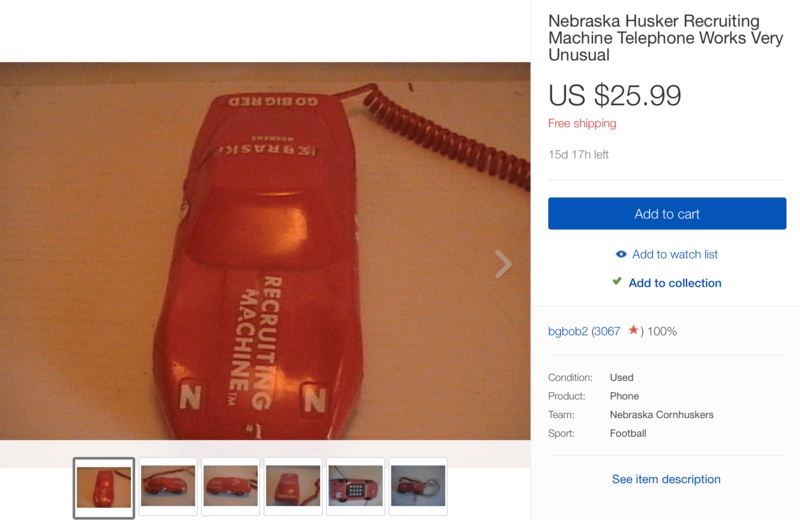 Why you should buy it: If a recruit knew you were calling on this, they would probably commit immediately. Who this is for: A collector of rare items, misprints, and mistakes. 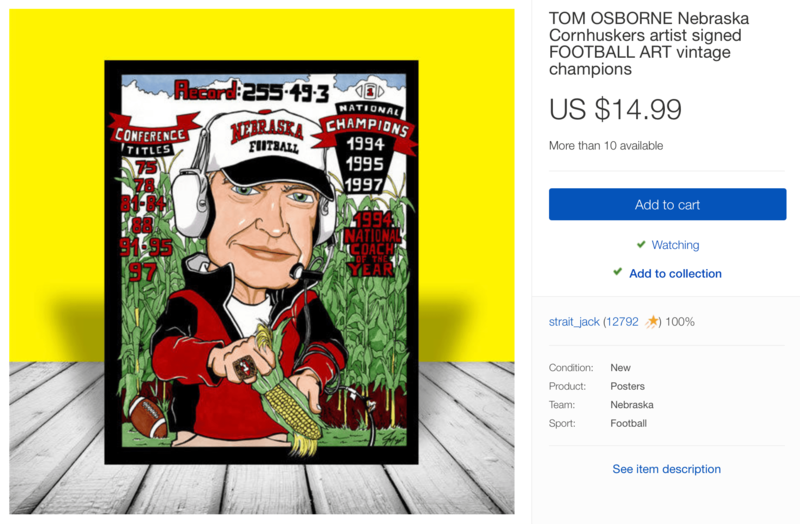 Why you should buy it: Stick this in your man cave so the next time the Huskers lose, you can remind everyone who is really at fault.